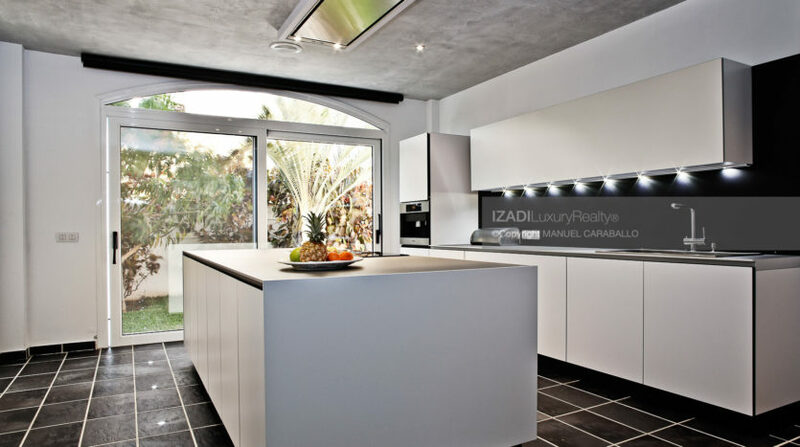 Continuing with the expansion policy of IZADI® Luxury Realty, we are pleased to present you this exceptional home located in Adeje Golf. 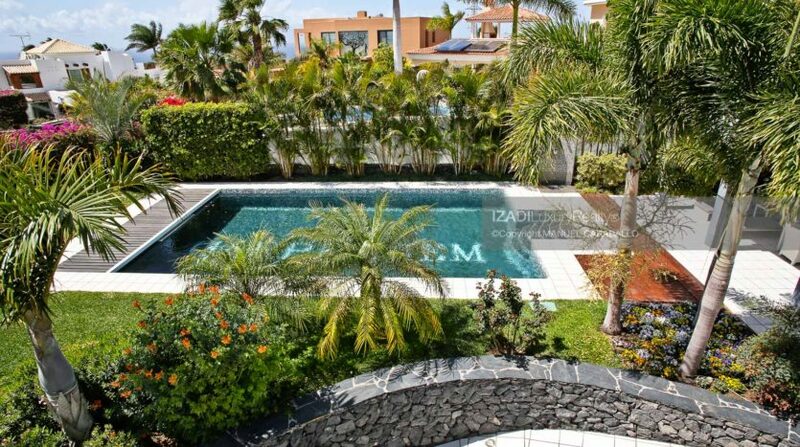 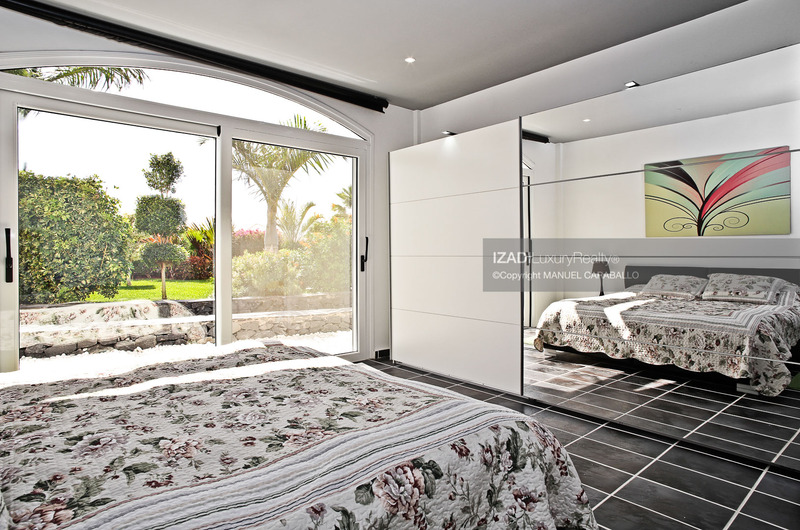 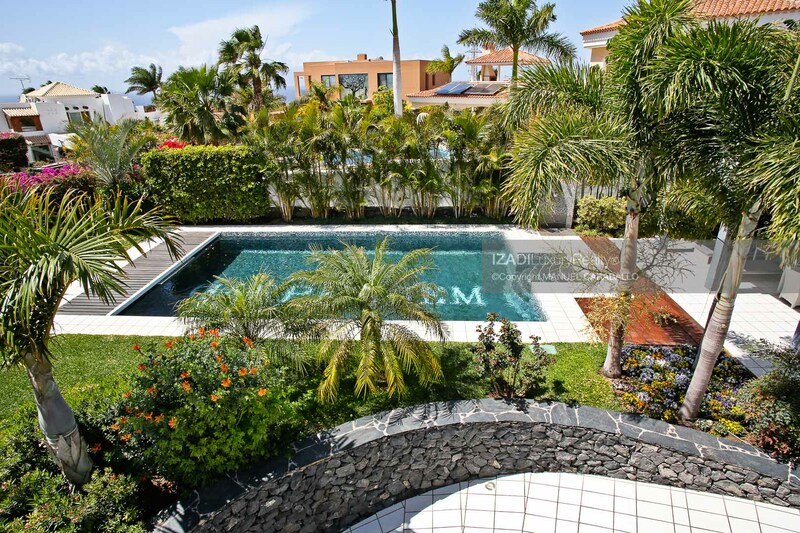 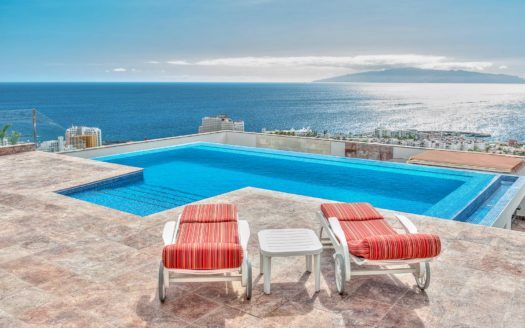 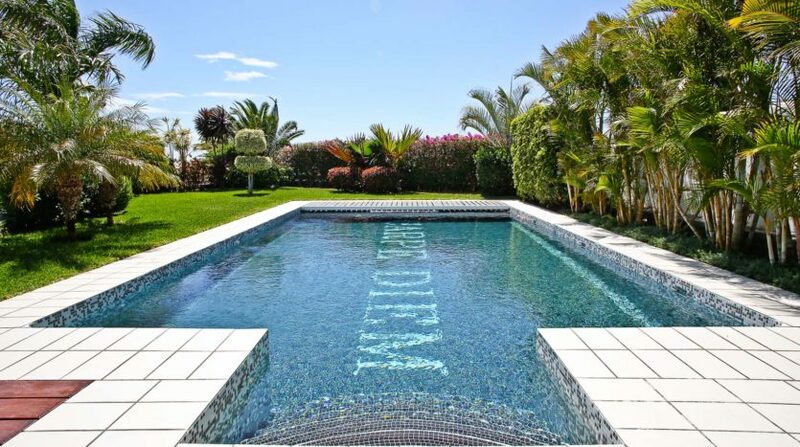 It is a villa specially designed to seek the welfare of its owners built on a plot of 1074 square meters, with a constructed area of ​​577 meters. 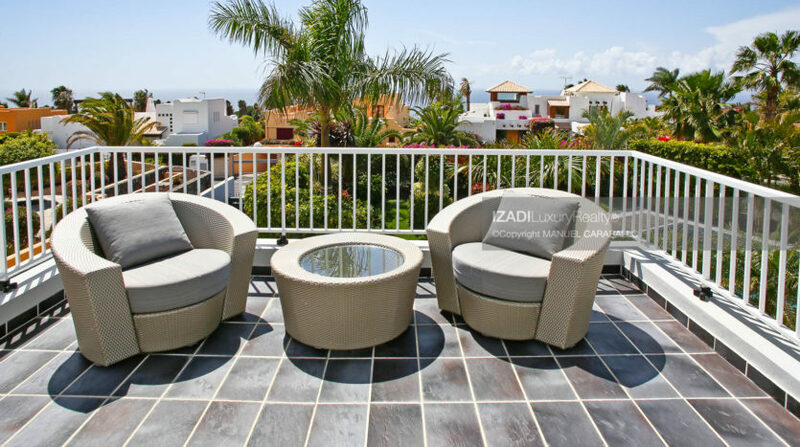 One of the fundamental ingredients that was sought in its development was its discretion, at the same time as having the best possible views, as well as that the exteriors completely surround the house itself. 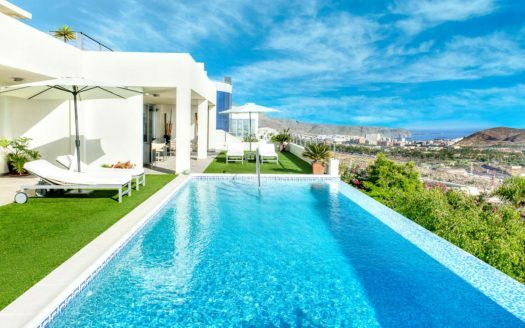 With all kinds of amenities, such as heated pool with automatic cover to maintain temperature, sauna with steam cabin, automatic irrigation systems, etc. 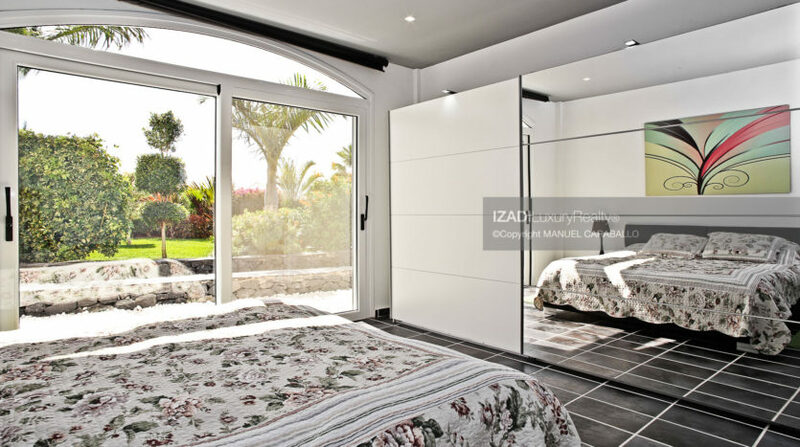 Its location in Adeje Golf, with 27 holes designed by the famous architect Pepe Gancedo, gives it a very significant advantage for owners who love this sport, while its proximity to the Reina Sofía International Airport in the south of Tenerife, just 25 minutes away. 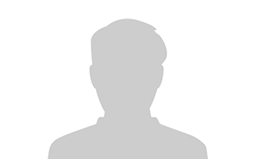 Car give a special comfort to people who need to travel by plane continuously. 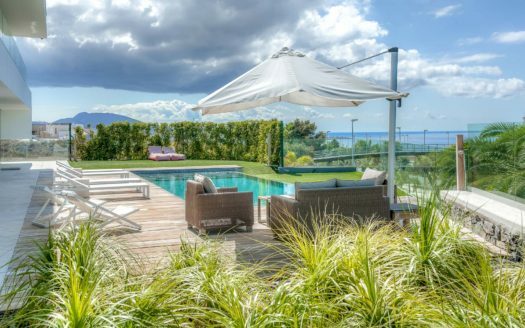 Prestigious schools in the area offer their services for members of school age, while their six seats awarded with the European blue flag, nearby restaurants of all kinds, shopping centers, wineries, opportunities for various sports, including aquatic, multiple movie theaters, and active, quality nightlife, give the home everything its next lucky owners could want. 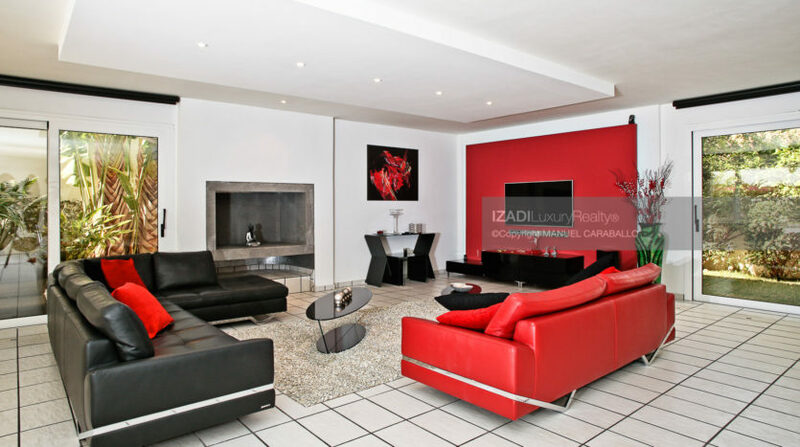 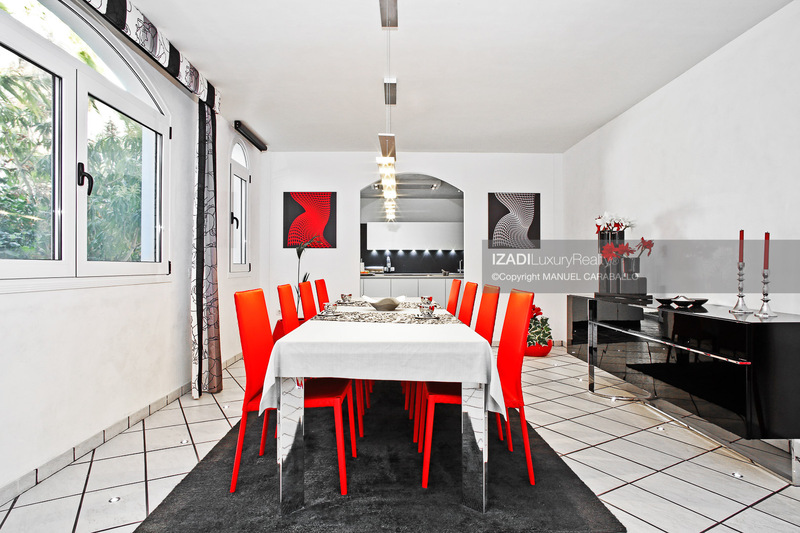 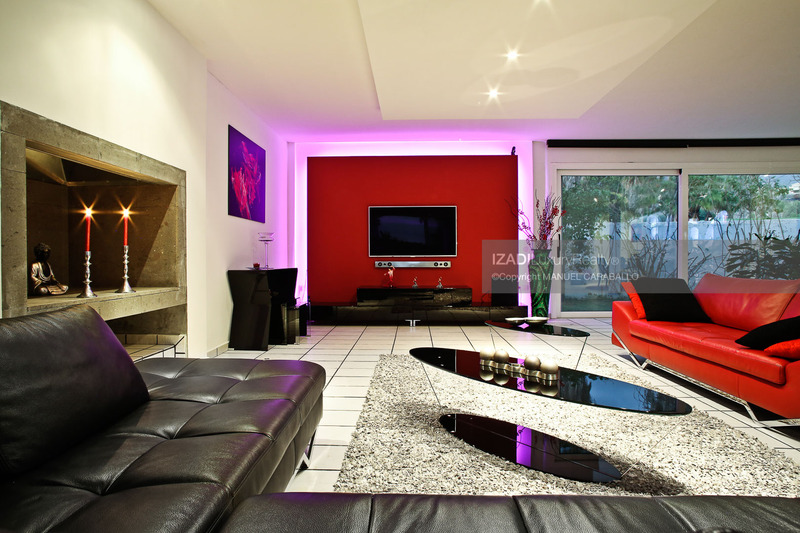 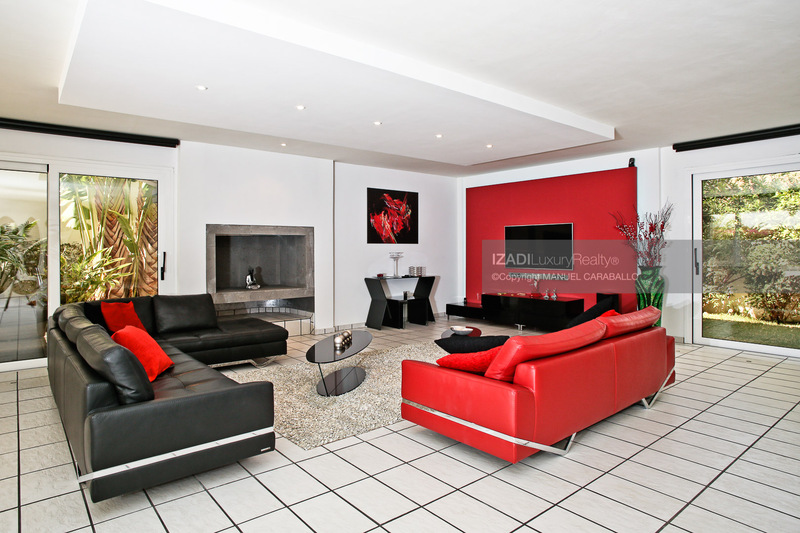 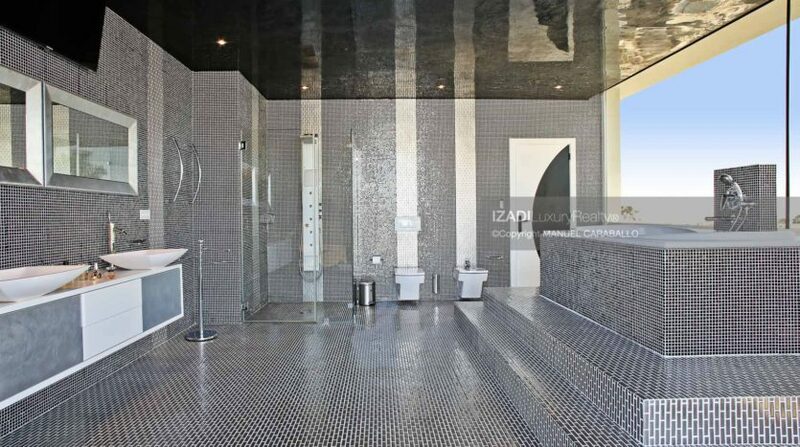 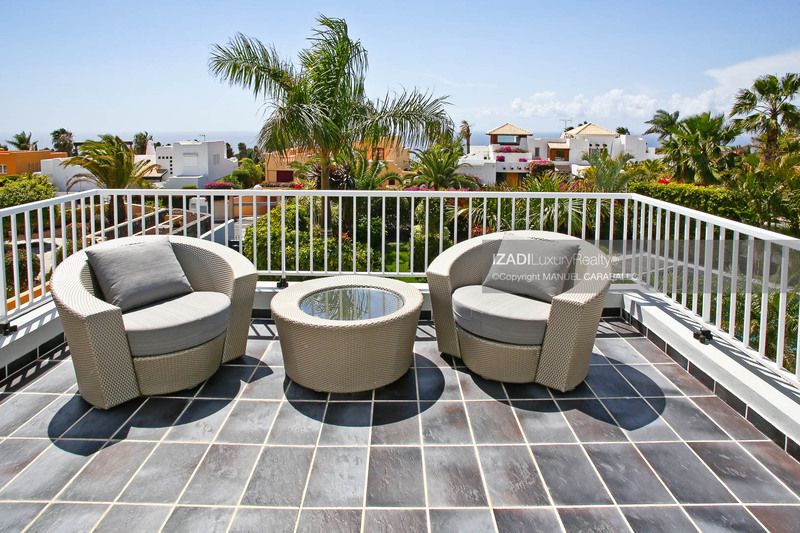 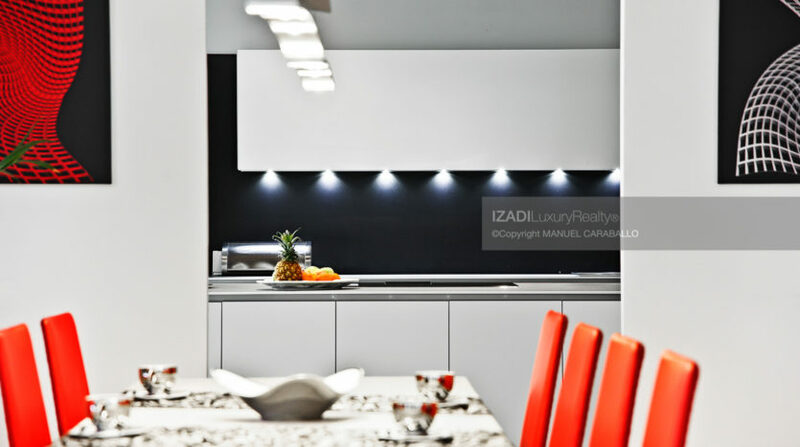 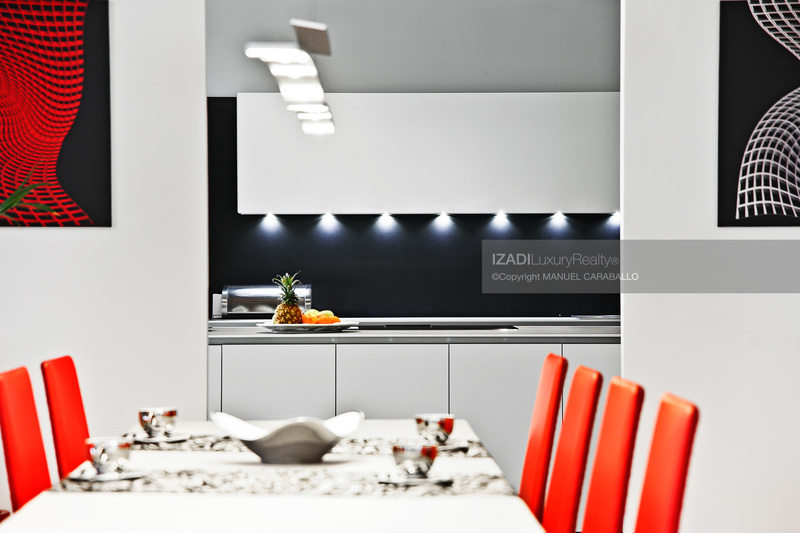 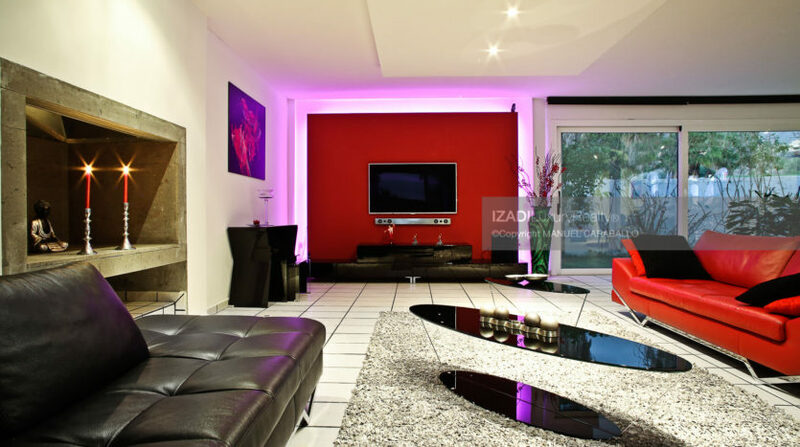 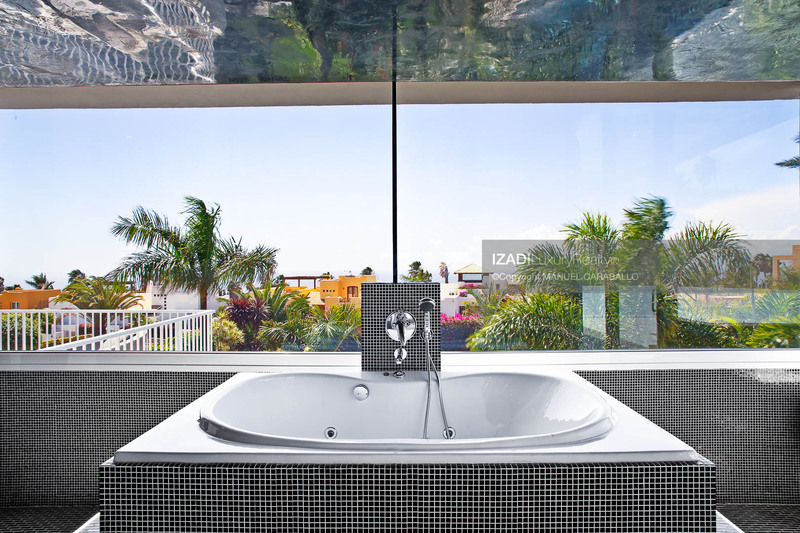 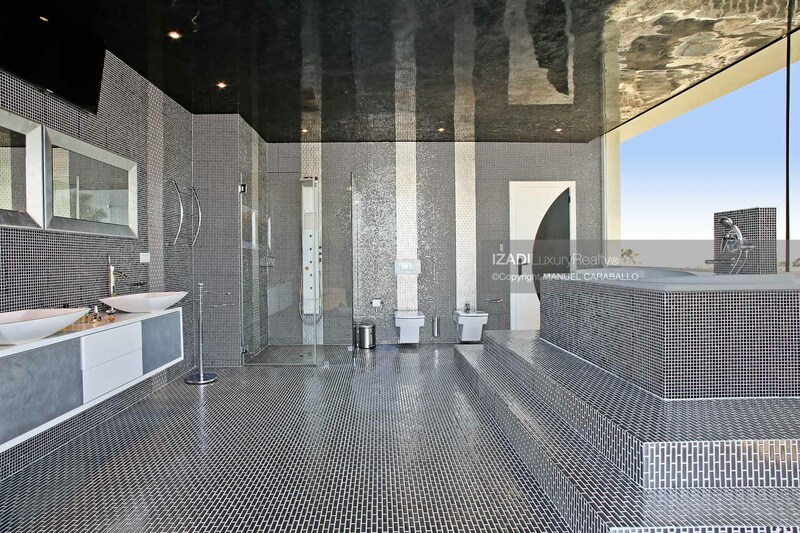 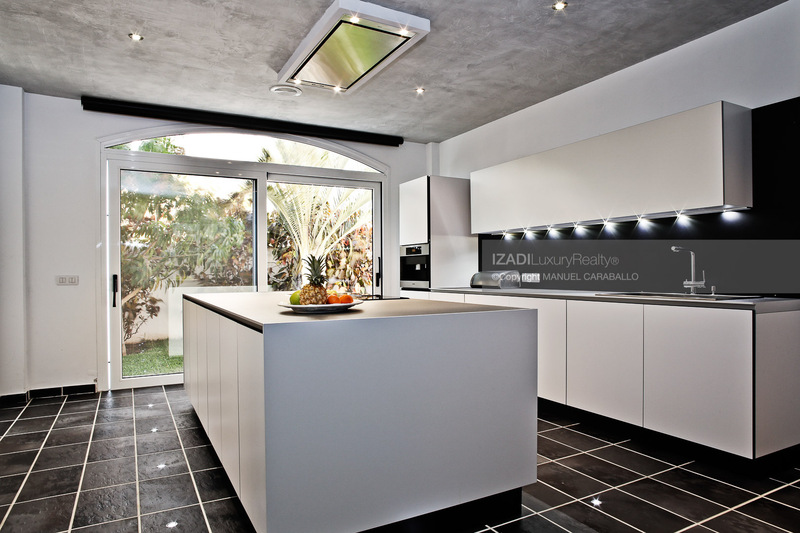 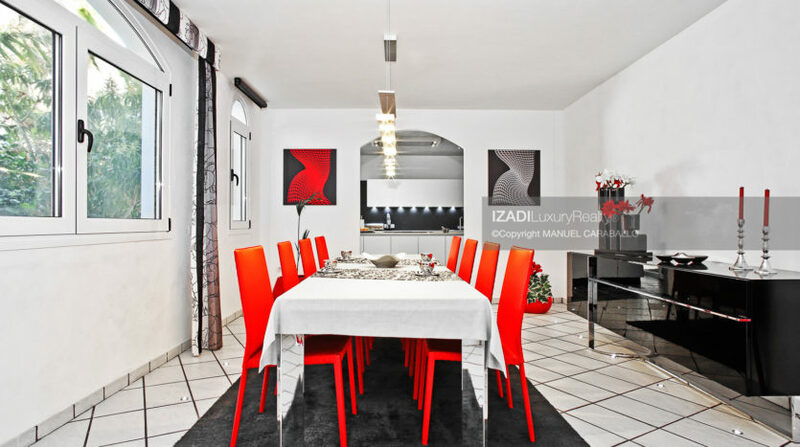 A home that deserves the qualification of ‘recommended by IZADI® Luxury Realty’.